Wow! How did it Happen so Quickly? Wow! was the common sentiment expressed on Saturday and Sunday. 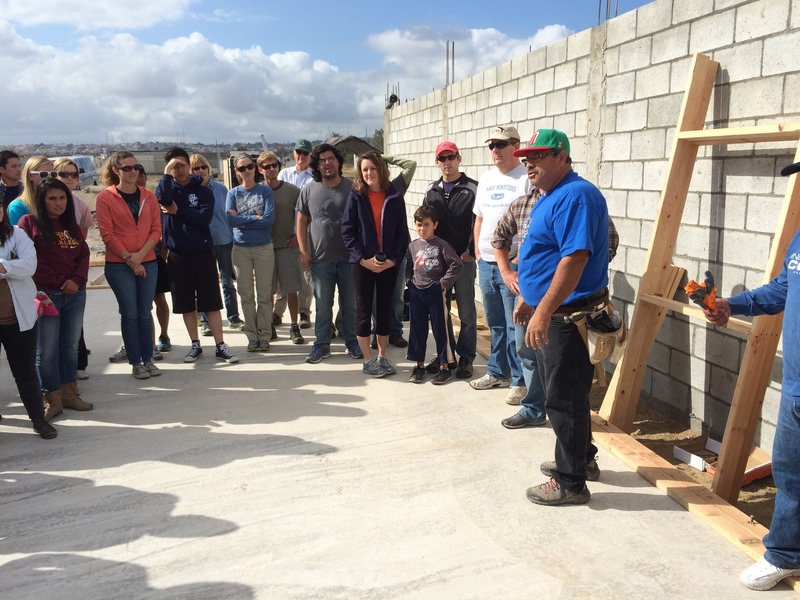 The quick progress left our group of 40 that went down to Tijuana on Saturday amazed. When we arrived in the morning there was only the concrete slab for the foundation, and a lot of lumber lying around. Once we got to work the building progressed quickly. 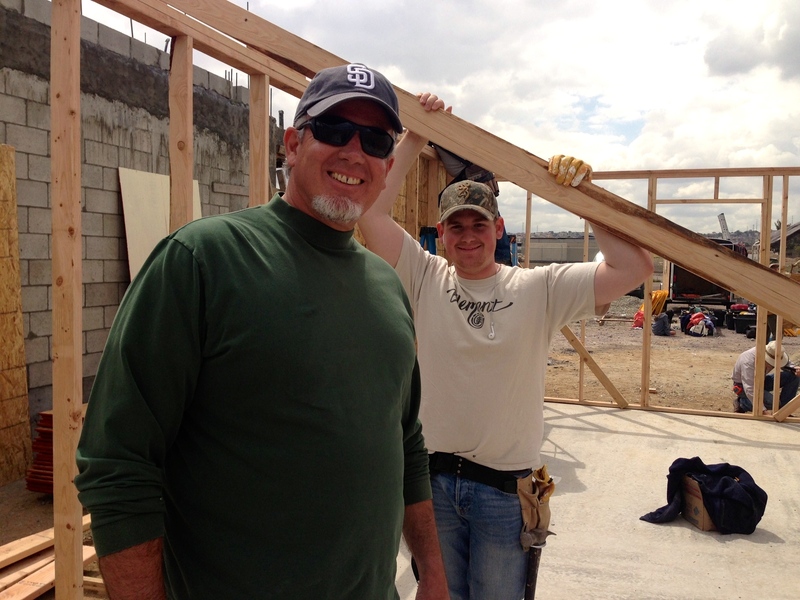 Pastor Daniel Nuñez and part-time foreman did an outstanding job directing us. I didn’t hear one complaint the whole trip, which doesn’t happen all the time. God truly answered our prayers. Thanks so much for joining us in prayer. When I put these trips together I must admit that sometimes I stress over the details coming together. I got frustrated last week when I was working on organizing the trip. Things shouldn’t have bothered me as much as they did, but I let them get the best of me. I’m confessing my own sinful struggles, but also proclaiming the Lord’s faithfulness to work through my weaknesses to bring everything together. 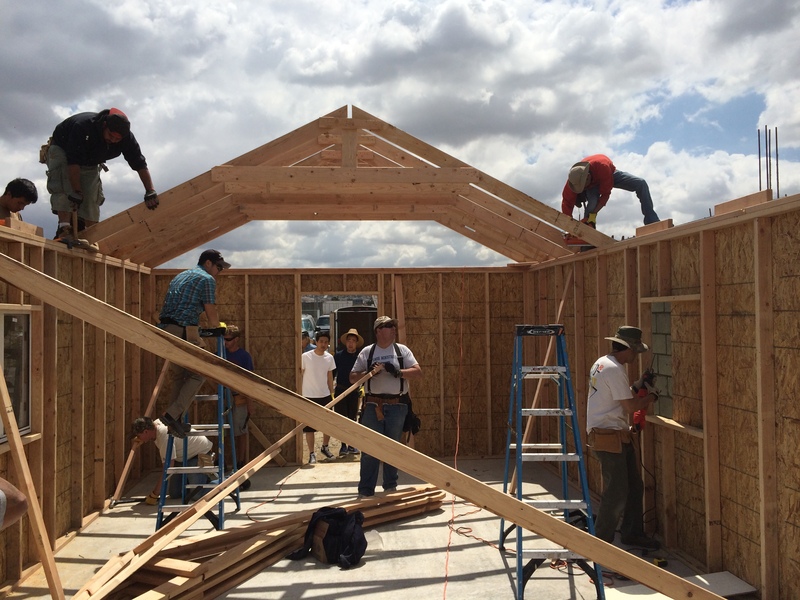 By the time we left the work site on Saturday afternoon the church was standing, and had a covered roof. Amazing that we could get so much accomplished in one day. It’s a testament to Daniel and his crew’s hard work at directing us and working with us. Now we are excited to go back this next Saturday to finish the job. We will put the shingles on the roof and put up all the dry wall. Some of the favorite parts of the trip for me are watching as our team worked so hard, and worked so well together. I loved meeting more of the people from the church, and seeing how happy pastor Ivan and his wife Rocio were. It was wonderful to get to know Ivan’s dad and brother as well. The church made us a wonderful lunch – fish tacos with great salsa. Thank you Jesus for the good work that you are doing. 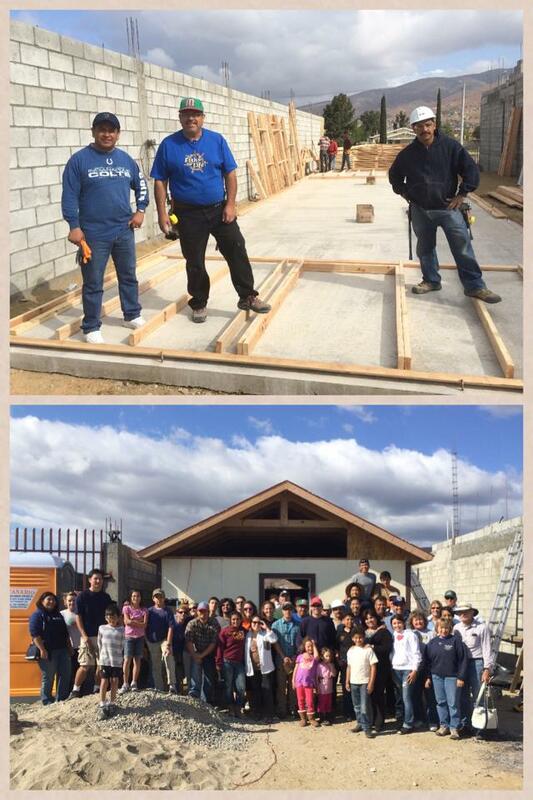 Next Sunday, April 13th Ivan and Rocio are planning on having their inaugural service in the new church building. I’m hoping that it will be a little easier this week preparing for the trip. I was able to get most of the work done last week, so I’m grateful for that. Pray that this next week will go as well or better than this last Saturday went. This was so awesome some. I am really moved seeing Kingdom of God expanded with those marvelous people who works for God’s work. I am so blessed read this one 🙂 May God bless you continually to expand Kingdom of our God. Amen. Thanks – it is encouraging to see so many people come together and work hard for the cause of Christ. Thanks for your encouragement and your prayers! That IS a big WOW!! Praying the same or better for the next weekend.